Shea butter is derived from seeds produced by the shea tree. Shea trees grow freely throughout Africa, and much of the world's supply of shea butter is harvested from there. Rich in vitamin A, shea butter is commonly used as a skin moisturizer to treat dry or severely dry skin. 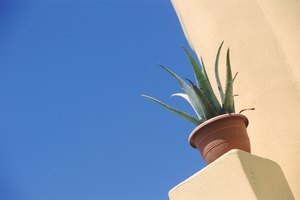 It is also used to treat skin rashes, sunburns, stretch marks, eczema and frostbite. 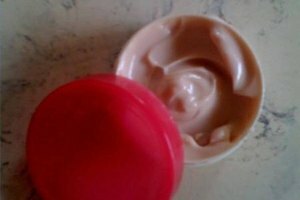 Shea butter is a naturally firm, beige-colored cream that melts when exposed to heat. Expect premium quality shea butter to harden when exposed to cold temperatures, but not when it's exposed to air at room temperature. Purchase premium-grade shea butter if you intend to use the shea butter as more than just a moisturizer. Look for the words “Class A” or “Class B" on the container. Purchase a lower grade class (C or F) if you only want a moisturizer and not a skin healing agent. Store your shea butter in a room or area set at 65 to 74 degrees to keep it from hardening. Use a thermostat to keep the room in that temperature range. Protect shea butter from melting by keeping it away from your oven, stove or direct sunlight. Add 1 teaspoon of jojoba or coconut oil to your shea butter to further prevent it from hardening. 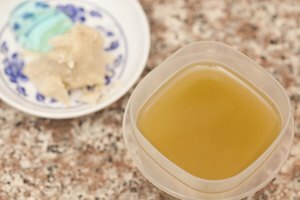 Scoop 1-2 cups of shea butter into a metal or glass bowl. Pour in the jojoba or coconut oil. Beat the ingredients together with an electric mixer on medium high speed for 15 to 20 minutes, until the shea butter has a smooth, whipped texture similar to meringue. Place the whipped shea butter into an airtight plastic container. If you live in a humid environment, store it in a dry place. Use a spoon to scoop a small amount of shea butter out of its container when you want to apply it to your skin. Rub the shea butter into your skin. It will absorb into your skin on contact, which will prevent it from hardening if you go outside into cold weather.